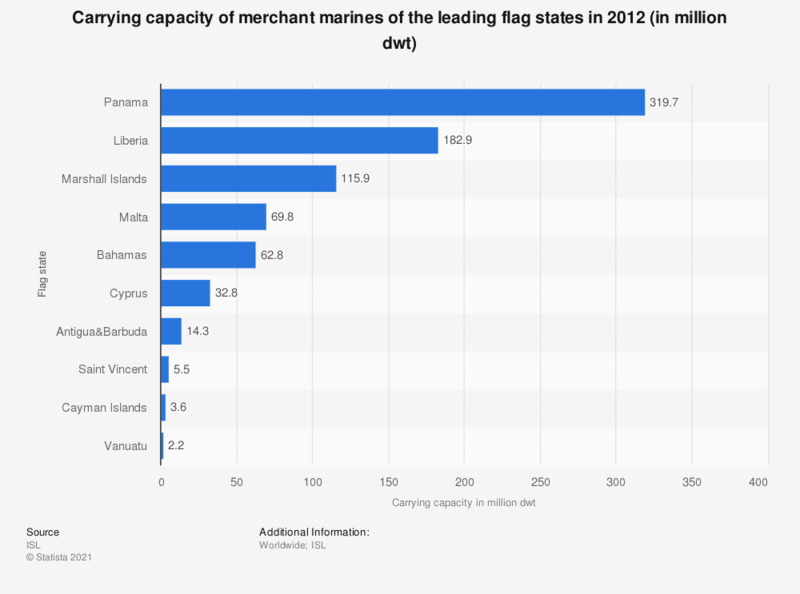 The statistic shows the carrying capacity of merchant marines of the leading flag states in 2012. In that year, the merchant marine of the Bahamas flag state had a carrying capacity of about 62.8 million dwt. The abbreviation dwt stands for deadweight tonnage. It is a measure of how much weight a ship is carrying or can safely carry. It is the sum of the weights of cargo, fuel, fresh and ballast water, provisions, passengers, and crew. Numbers are rounded for a better understanding of the statistic.